Call for an Appointment or Visit Our Showroom! If you need emergency assistance, please give our office a call at 845-331-2480. If you are planning your next improvement project give us a call or fill out the form below - whichever is more convenient for you. During normal business hours, one of our certified technicians is always on hand to answer your questions. 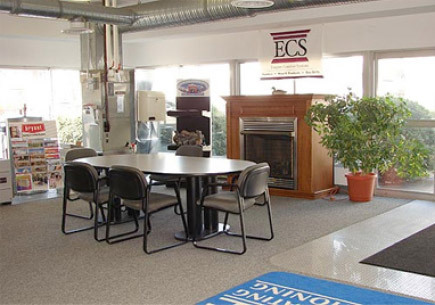 Come visit our showroom and see all the types of functional heating and cooling systems we have on display. We give you the opportunity to see our systems in operation, so you make the best choice for your home or business. Try to find that elsewhere! From NYS Thruway exit 19 (Kingston) Take the 3rd exit off the rotary for I-587, Chandler Drive Go straight through traffic light and merge right onto Broadway Turn left at the 3rd traffic light onto Cornell Street Turn right at the STOP sign onto Smith Avenue Lowe Plumbing, Heating and Air Conditioning is on the right. From the Kingston-Rhinecliff Bridge Take the 1st exit after the bridge for Route 32 Turn left onto Route 32 south and proceed for 3.6 miles Turn left onto Foxhall Ave and proceed .3 miles Bear right onto Cornell Street (just before RR tracks) Turn left at 2nd STOP sign onto Smith Avenue Lowe Plumbing, Heating and Air Conditioning is on the right.